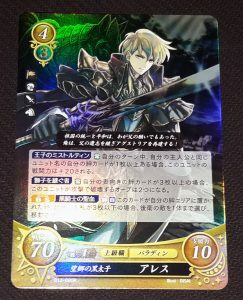 Cipher Series 12 Full Release & Set Breakdown! 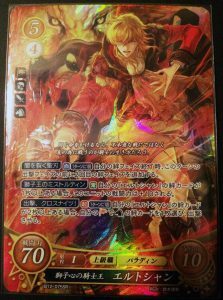 On Thursday, 22 March, Fire Emblem Cipher released its twelfth expansion: Raging Deluge! 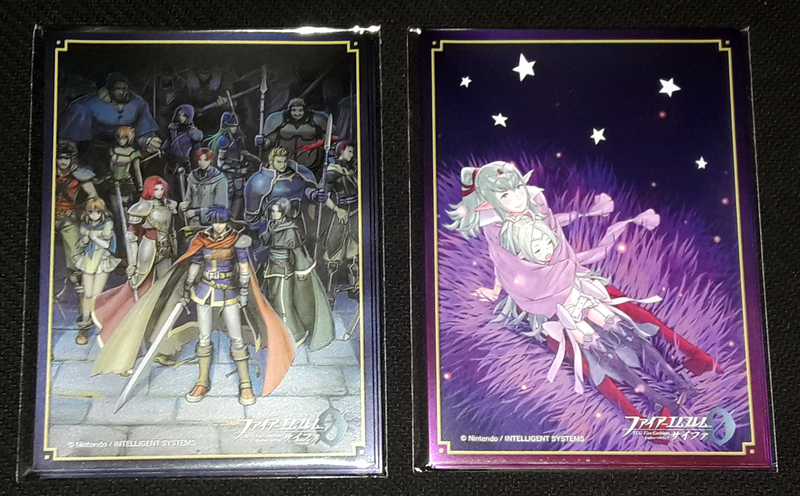 This set features cards and characters from three different Fire Emblem worlds: Tellius (Path of Radiance/Radiant Dawn), Ylisse (Awakening), and Jugdral (Genealogy of the Holy War). 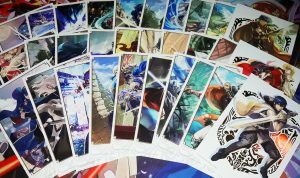 Take a look down below for a look at the cards in the set, as well as its associated promo cards and other products. 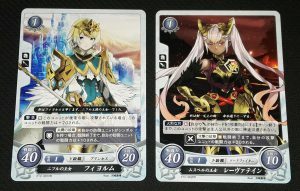 WARNING: Some of the cards in this set contain story or character spoilers for these games. If you’re looking to avoid any spoilers, proceed with caution! 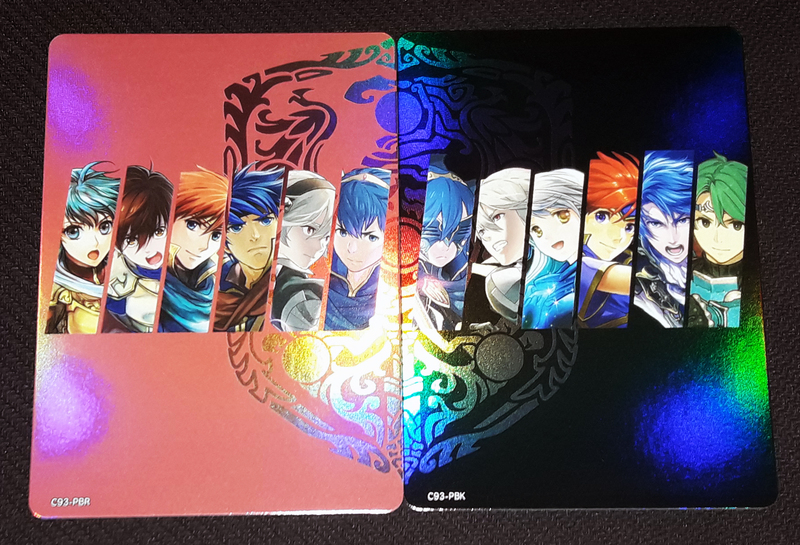 The first half of the set is dedicated to characters from Tellius. As expected, Ike takes center stage with two SR cards in this set. The first features Ike in his final, Vanguard class. The other is a bit more speculative, offering a look at what Ike would be like were he possessed by Lehran’s Medallion. The Medallion was expected to play a large role in this set based on the reveal of this piece of art. 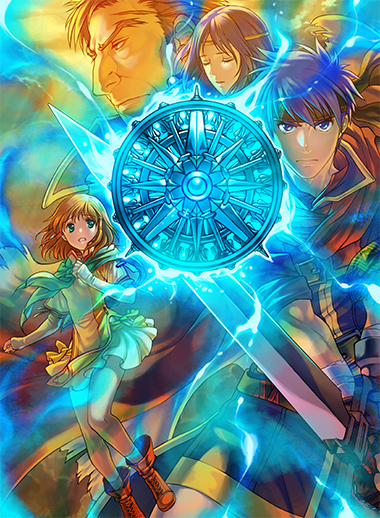 This image of Lehran’s Medallion was promoted as a “Key Visual” of the set. In fact, all of the characters in this image get cards in this set. Little sister Mist gets the third SR, including a signed SR+. 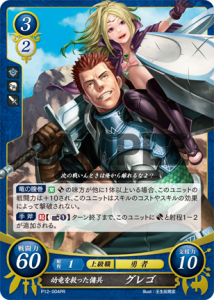 Greil and Elena make their first Cipher appearance in S12. They share a joined-art for their unpromoted cards and separate promoted cards. Elena’s HN is a powerful Bishop, carefully guarding the Medallion. Greil’s R is more heartbreaking, grieving over Elena’s body after he’s killed her. 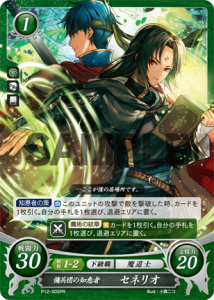 Other Tellius characters also make their Cipher debut in S12. Playable characters Makalov, Stefan, Calill, Tauroneo, Largo, Fiona, and Sephiran appear for the first time. It’s not just playable characters who show up, either! 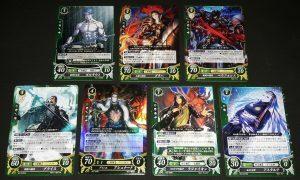 Zelgius, Petrine, Bertrand, Bryce, Ashnard, Rajaion, and Ashera are also available in this set. 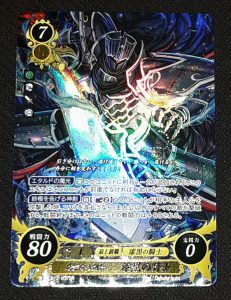 Zelgius dons his Black Knight armour in the fourth SR of the set so far. 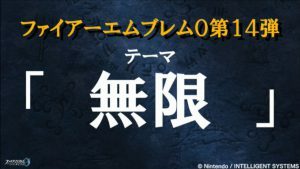 As the second protagonist of Radiant Dawn, Micaiah also returns in S12. 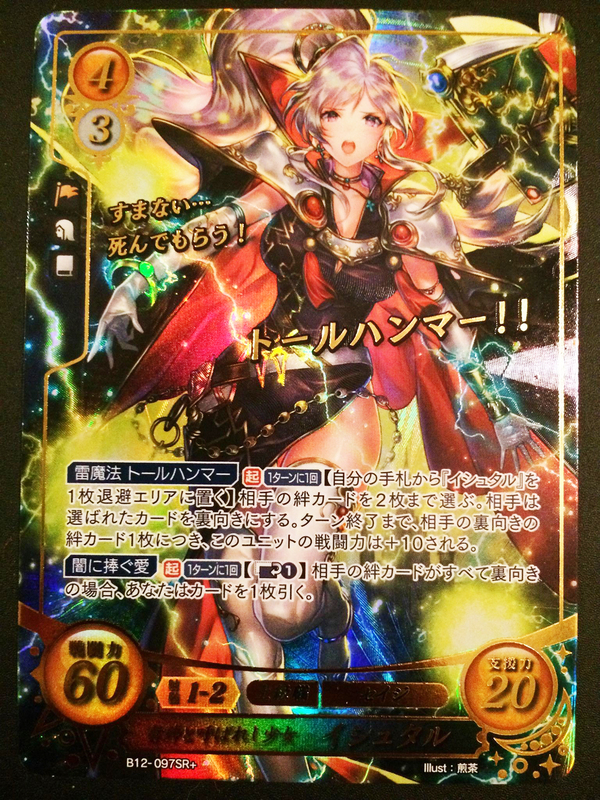 She takes the fifth SR slot as a fully-promoted Light Priestess. 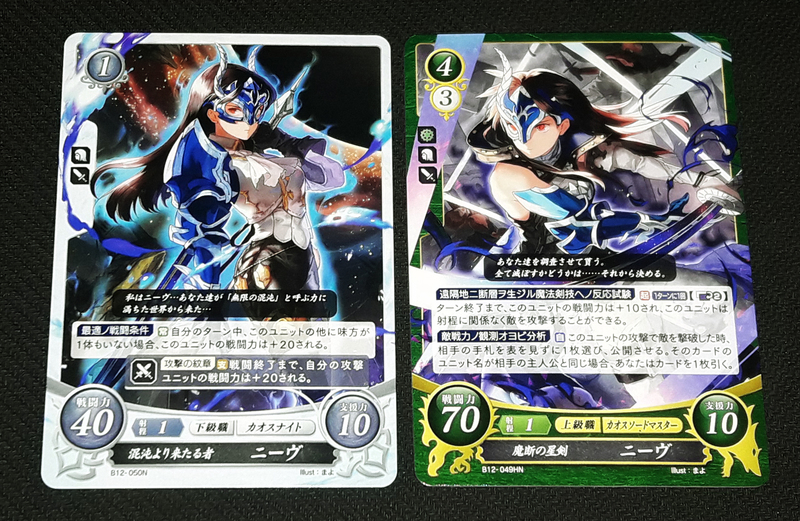 She also shares a gorgeous joined-art panorama with Vanguard Ike in their SR+ variants. Lastly, the remaining cards go to returning popular characters. The final SR goes to Marcia, now a fully promoted Seraph Knight. The remaining Rs go to Titania, Soren, Volke, Astrid, and Elincia. 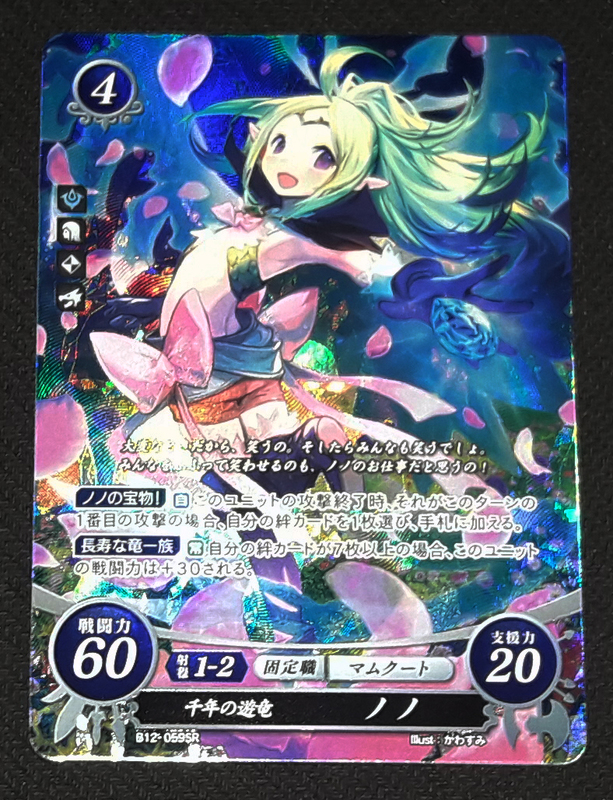 Next up, the third quarter of the set features a return to the world of Awakening. 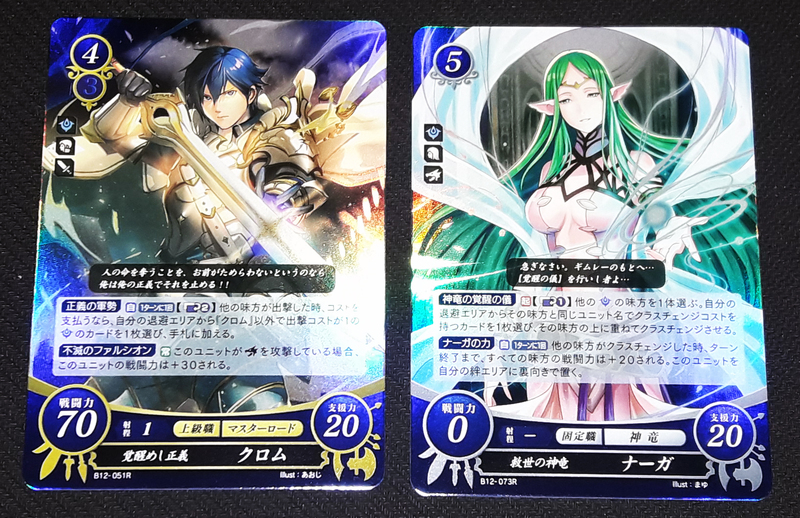 Chrom may be the face of this portion of the set, but surprisingly, he didn’t get an SR card! He did, however, manage to snag this beautiful joined-art piece with Naga. 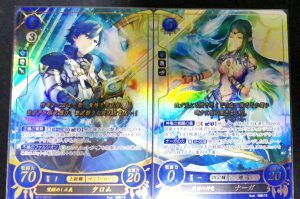 These are their R+ card, variant versions and the regular Rs for both characters. Lucina, another prominent Awakening character, also gets both an R and an R+ variant art this set. Her R and R+ cards actually form a joined-art piece with each other! The first SR of the set actually goes to Lissa, who appears in Cipher for the first time as a Sage. 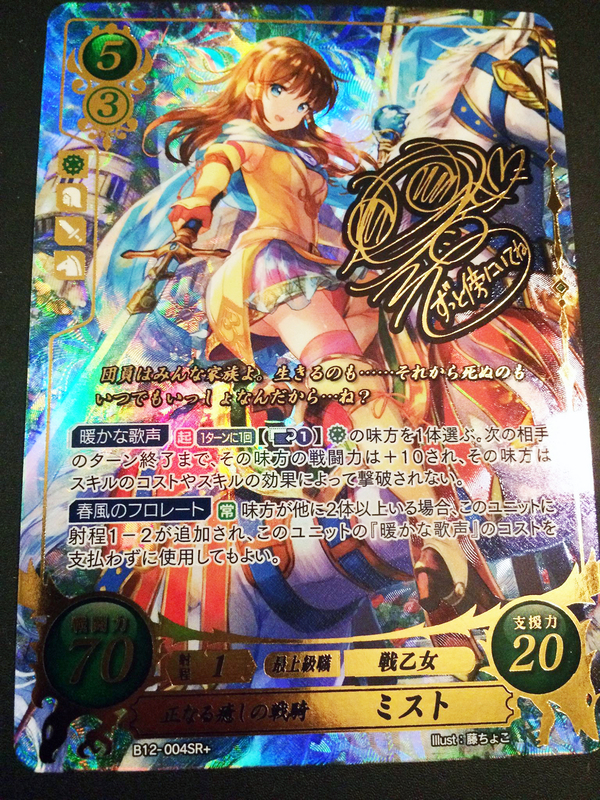 The SR is also available as a + variant signed by her Japanese voice actress, Kana Asumi. 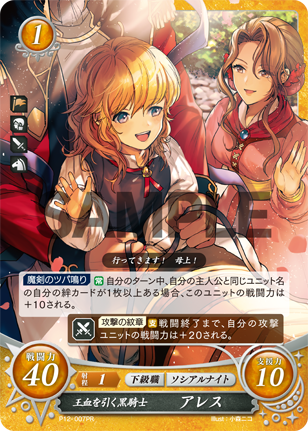 Although Lissa has appeared frequently in Cipher, this is her first time snagging an SR slot. In fact, all three SRs of the Awakening block go to characters who have never had SRs before! 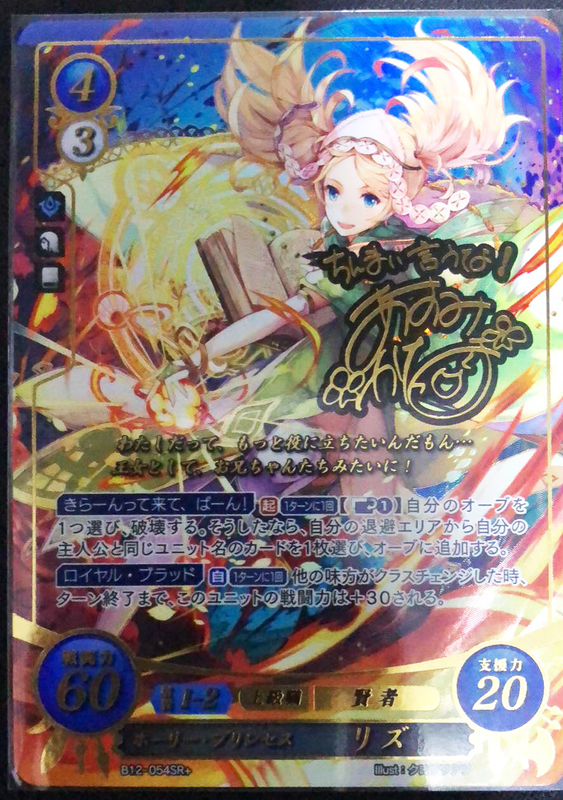 The second goes to the popular Nowi with some very cute artwork by Kawasumi. 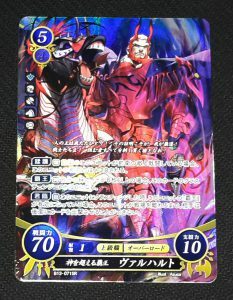 The third and final SR goes to a brand-new Cipher villain: Walhart. 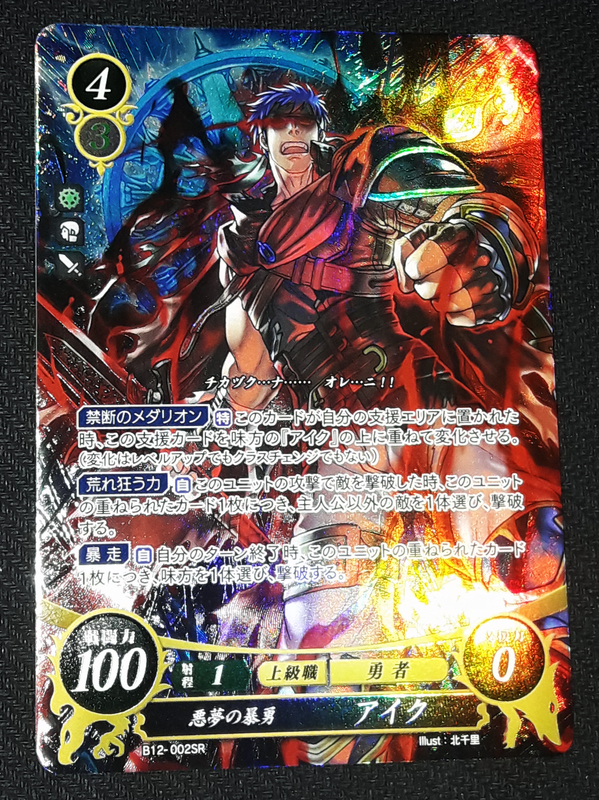 As Walhart’s inclusion shows, this Awakening set block is dedicated to the Valm arc of the game. 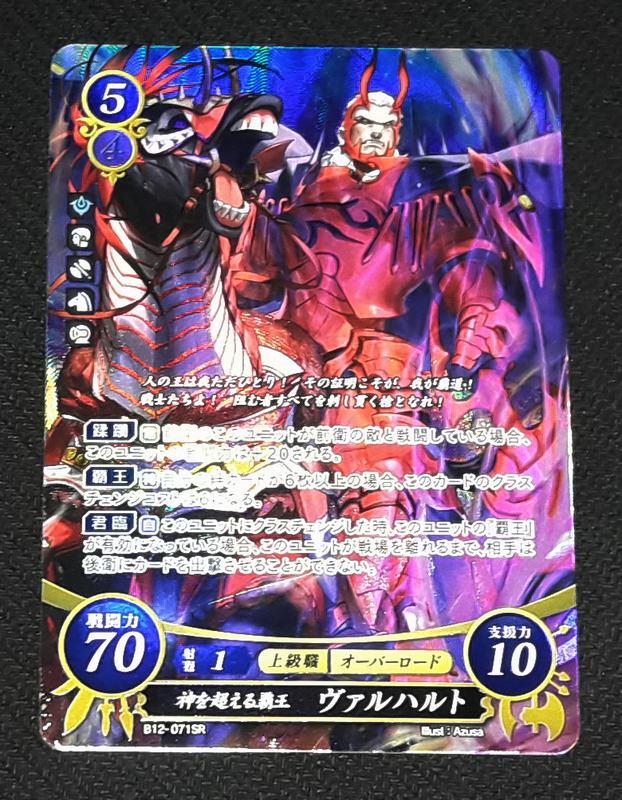 He isn’t the only Valmese character to make his debut in this set either; Yen’Fay and Excellus also both appear. 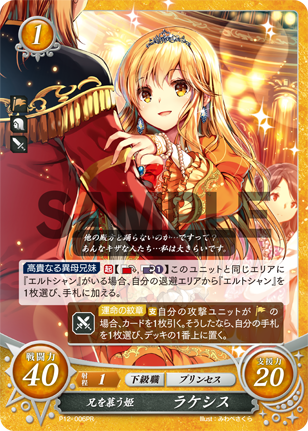 Additionally, Say’ri gets two beautifully stylized cards, including an R, to showcase her importance to this part of the game’s plot. Furthermore, other characters who also have a connection to Valm get cards in this block, such as Tiki, Priam, and Lon’qu. The latter actually appears reclassed as a Wyvern Lord, something that’s rather rare in Cipher. Finally, Jugdrali characters take up the last quarter of the set. The main character for this block is Eldigan, who has seen a surge of popularity after his early appearance in Fire Emblem Heroes. Both he and his sister Lachesis share the first two yellow SRs, while his son Ares gets an R.
The remainder of this block doesn’t really share much of a theme. 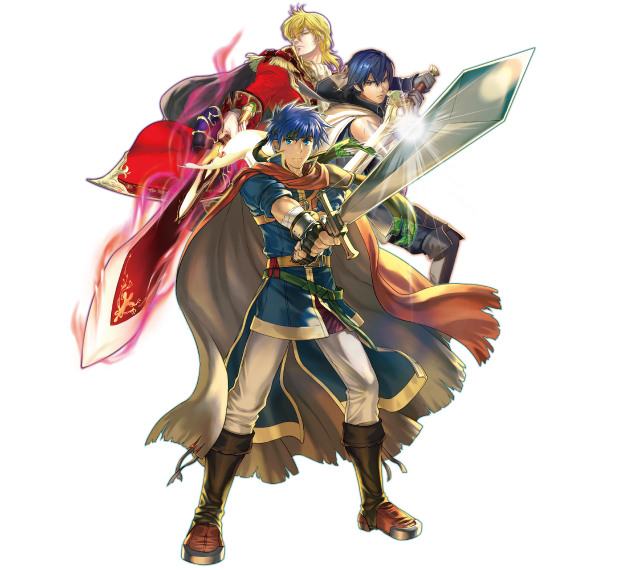 Instead, it mostly focuses on providing additional yellow support with a mix of old and new characters. 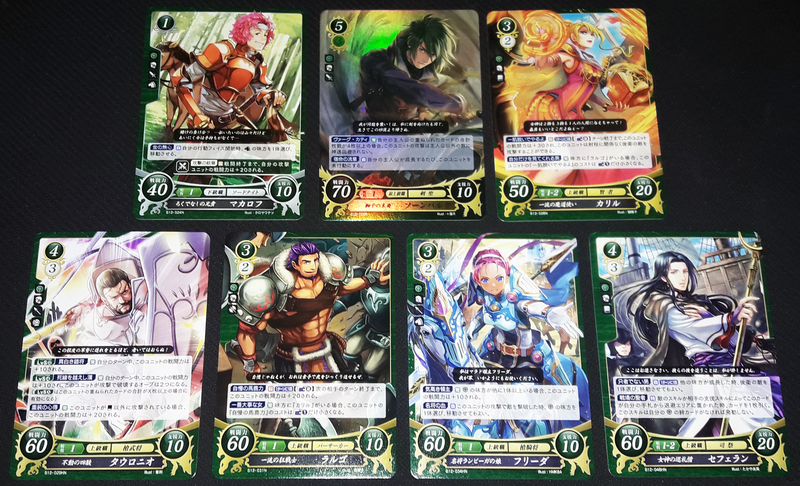 Some prominent characters get printed again in this set, including Sigurd, Nanna, and Oifey. 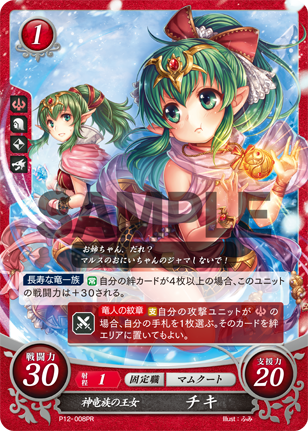 Most of the remaining cards are from the second generation, including some child substitutes. 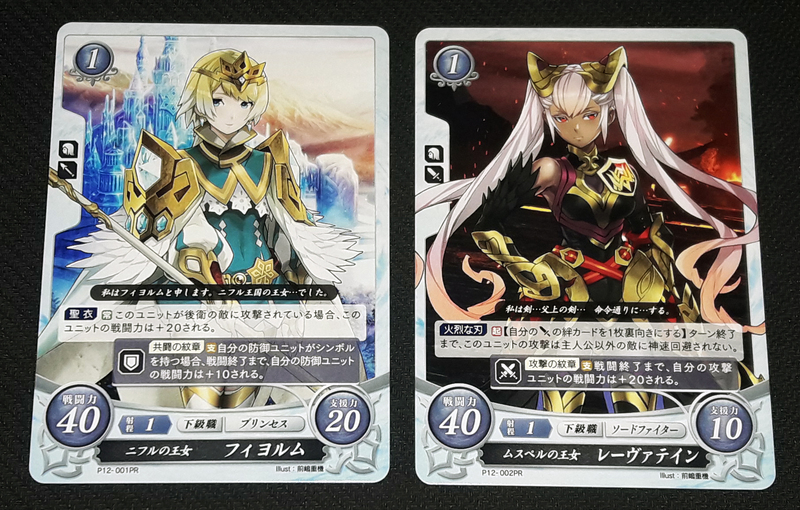 Femina, Amid, and Linda all get their first cards in this set. Jugdrali villains are also well-represented in S12. 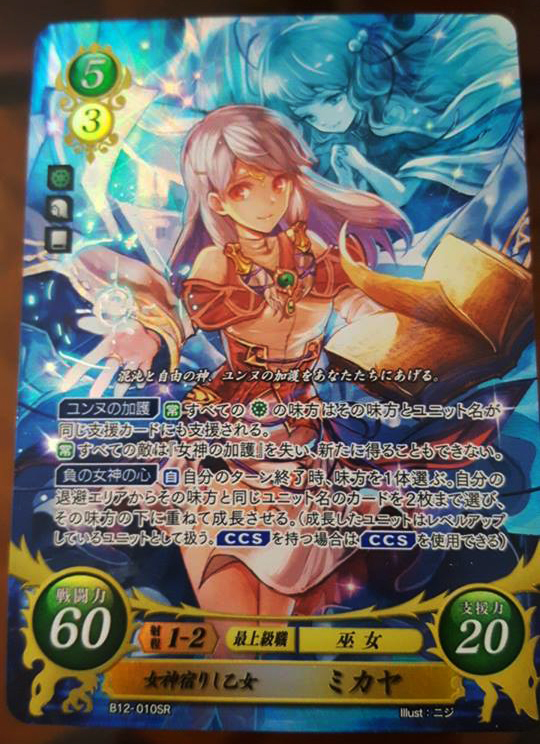 Fan-favourite Ishtar makes her Cipher debut, including the final yellow SR with an alternate art SR+! 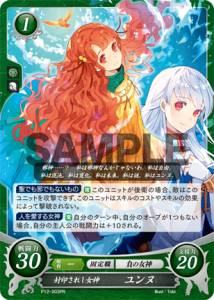 We also get cards for the three mage sisters, Vampa, Fetra, and Eliu. 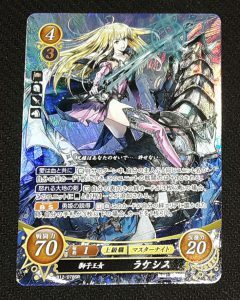 S12 introduces another original character to the Cipher party: Nieve. Nieve is a mysterious masked woman who appears with the classes Chaos Knight and Chaos Swordmaster. 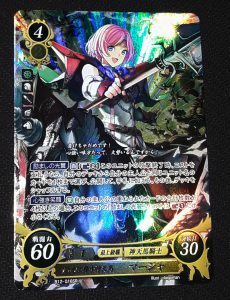 Based on the flavour text of her cards, and her appearance in the most recent Cipher Frontier Column, we know that she comes from a land known as the “Boundless Chaos”. Interestingly enough, the Japanese term for her realm is 無限の混沌, which contains the kanji 無限 (mugen, or “infinity”). You may recognize that phrase from the recent Winter Livestream. According to Kawade, 無限 is a “key word” for the upcoming S14, of which we still know very little. Randall, one of the Cipher characters who appears in Echoes as a DLC character, also mentions the phrase “Boundless Chaos” in a possible map conversation. According to Fire Emblem Lore Master VincentASM, the phrase originally appeared in an early Cipher column, with Emma using it to explain how all the various FE worlds connect in Cipher. 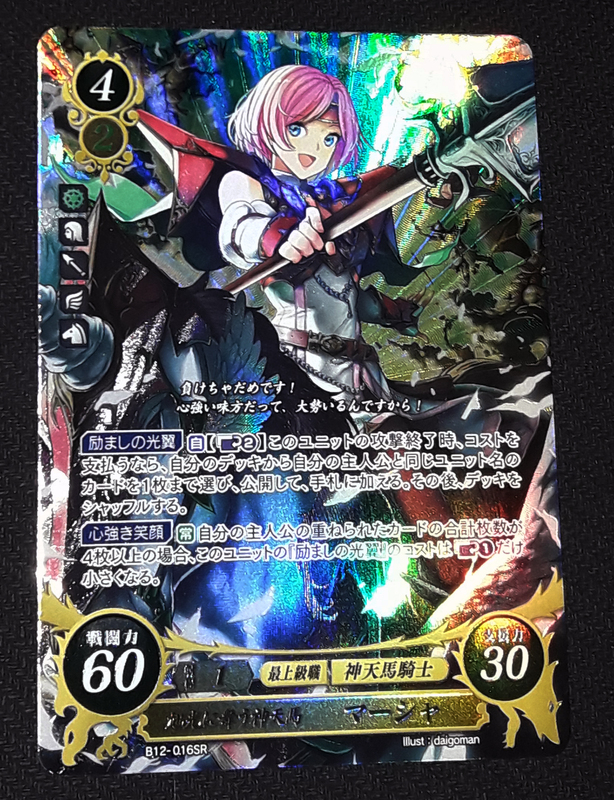 Nieve and the Boundless Chaos that she hails from very well could just be Cipher-specific flavour without a deeper meaning. However, it could also be a hint towards S14, or even something else. We’ll likely find out in the near future! In the meanwhile, all we can do is speculate. As usual, S12 booster boxes come with a number of promotional cards and goodies for players and collectors. 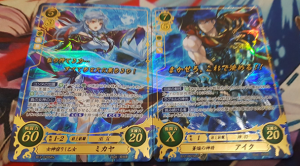 Once again, Preview Promos return, this time showcasing Fjorm and Laevatein from the upcoming S13 expansion. 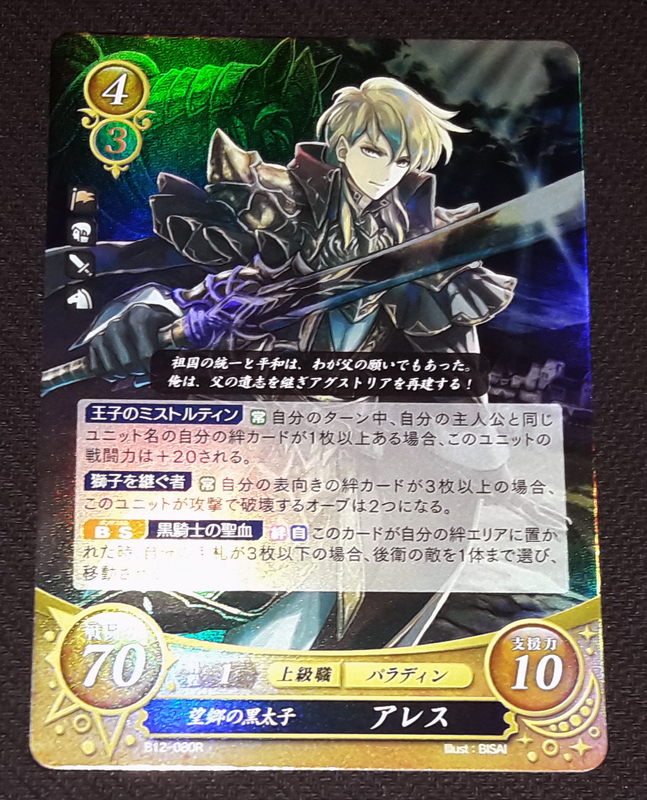 The promos were matched with holographic Marker Cards featuring Cipher Lord art. 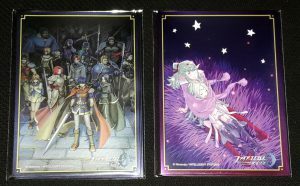 We also get two sets of promo sleeves, one featuring art of Tiki and Nowi in Awakening, and the other the Greil Mercenaries in Path of PoR. 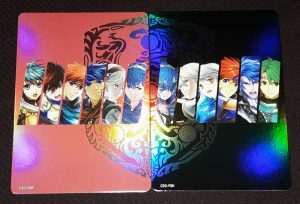 Each booster box contains one pack of sleeves and one pack of a marker card and promo combo. Designs are included randomly. 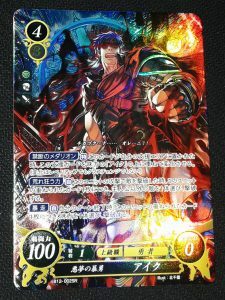 Additionally, players who purchase one booster box (or sixteen packs) from participating retailers are eligible for a release promotion giveaway as well. 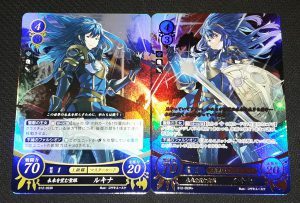 The release promo items for S12 are postcard sets featuring various Cipher artwork. There are three different sets in total, each one with a main postcard featuring one of the main Lords of S12. Yune (P12-003PR) and Gregor (P12-004PR) are unique promos and only available via these tournament packs. 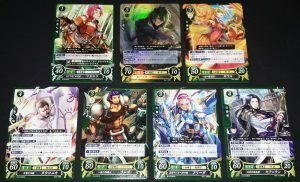 The remaining four promos are Soren (P12-005PR), Lachesis (P12-006PR), Ares (P12-007PR), and Tiki (P12-008PR). These cards are all alternate art reprints featuring previously-printed cards. 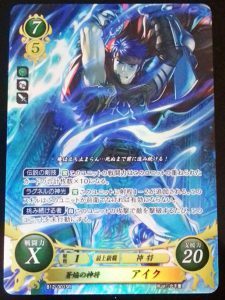 Furthermore, there is one other promo card for S12, this one for Ike (P12-009PR). This card is available in the May 2018 issue of Nintendo Dream. 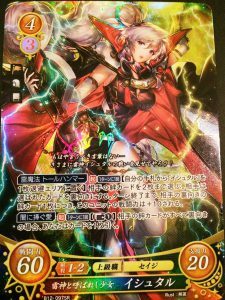 Each issue of the magazine contains two copies of the card. 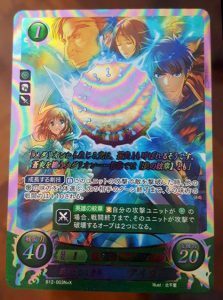 Since there are no other Cipher events or related products being released anytime soon, these will likely be the only S12-associated promos. We’ll be sure to share if any further promos are revealed! 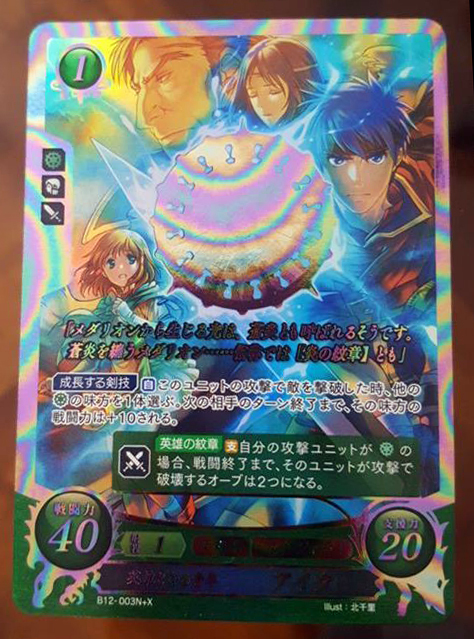 Finally, S12 also contained a “secret” +X card for Cipher collectors. 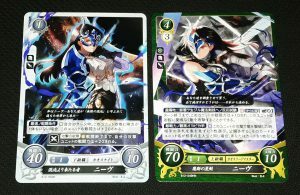 Following recent trends, this set’s +X card was an alternate reprint of a card from the same set! 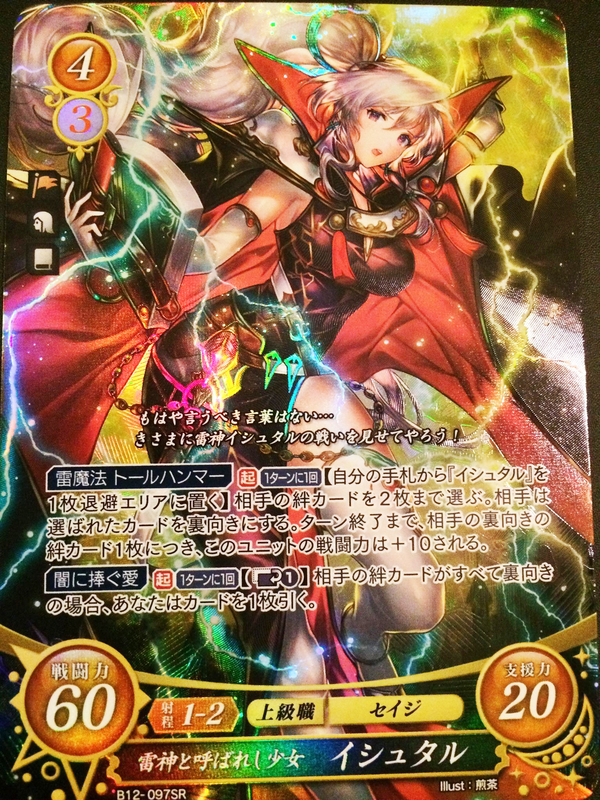 In this case, it’s a reprint of Ike’s N card, but using Senri Kita’s Medallion art. The Medallion itself it set in shiny foil! And that’s a wrap for S12! Special thanks go to Marcus, Ross, TheVinceKnight, Bart, and Justin from the International Cipher Community for providing additional photographs. We’ll see you soon with more information for S13! 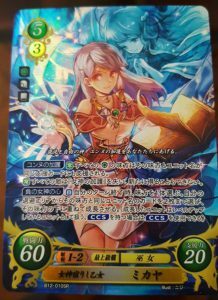 Signed Ishtar is abominably expensive, I wish luck to anyone trying to get her with their boxes because her price is unreal. 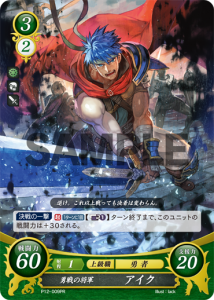 Also Cipher Set 14 being devoted entirely to the Cipher Mascots please?! This is actually Priam’s second appearance in Cipher – he’s the lone Blue card in…S3, I believe? S14 is likely for FE16 the fact that its still this tight lipped makes it more apparent to me.